Homemade bread is one of the most satisfying dishes you can make. Eating a piece of bread fresh from the oven with a little bit of butter is an experience not to be idly dismissed. We don't want you to miss out on the fun just because of a gluten intolerance, so we've collected 15 of Our Best Gluten Free Bread Recipes. There's a recipe here for every occasion and for every type of bread you could want. These recipes range from sweet breads to sandwich breads to gluten free rolls. After trying a couple of these recipes, you're sure to become a master baker. As you gain experience, you might even begin to develop your own bread recipes. We've created a good base for anyone interested in baking bread. You'll impress friends and family when you serve one of these homemade gluten free breads. Making your own gluten free bread is also a great way to save money, since store-bought gluten free breads can often be expensive. It is much easier and cost effective, to make a delicious, healthy bread in the comfort of your own home. Want even more homemade bread? 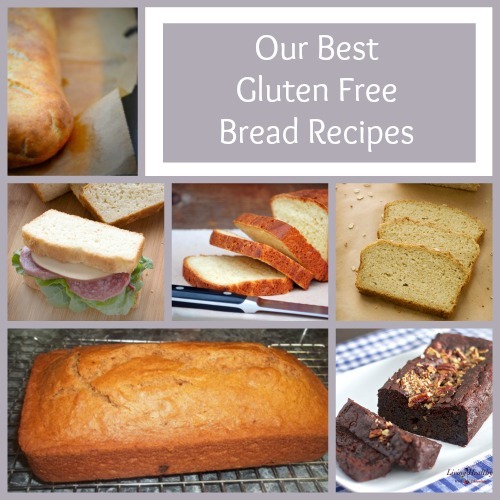 Check out these 9 Gluten Free Bread Recipes. Zucchini Bread - Zucchini gives this tasty bread a naturally sweet flavor boost. Zucchini bread is a late summer favorite across the country, so don't miss out on the fun. You need to make your own bread for the next potluck or cookout. Banana Bread with Dark Chocolate Chunks - Dessert, snack, or breakfast bread? The choice is yours! Whatever you decide, this sweet banana bread is sure to delight taste buds everywhere. 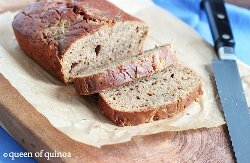 Apple Cinnamon Bread - This gluten free bread recipe features an amazing combination of apples and cinnamon. You can't go wrong with this tasty recipe because it's perfect for any and every occasion. The Most Amazing Banana Bread - Kids will love this delicious banana bread. 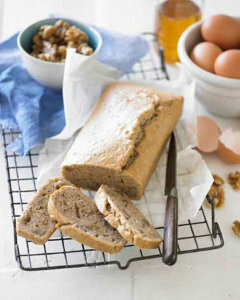 Plus, you can top this bread with walnuts and a sliced banana to make this bread even more unique. 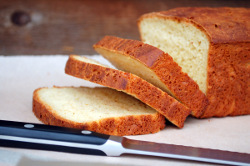 Insanely Easy Cornbread - Get a taste of the South with this tasty homemade cornbread recipe. Be sure to try this recipe because homemade cornbread is a wonderful side dish that would be perfect with any meal. Chocolate Zucchini Bread - You'll really enjoy this tasty bread because, surprisingly, chocolate and zucchini are the perfect pair. Serve this bread for breakfast, or pull it out as a light dessert. We have so many recipes to show you! Here are Our Top 50 Gluten Free Recipes. Super Simple Sandwich Bread - Looking for a ridiculously easy bread recipe? Then, this recipe is just the thing you're looking for. There's no need for a bread maker and very little room for error, meaning this recipe is perfect for beginning bakers and kids. Agave Oat Bread - This Agave Oat Bread will make every sandwich amazing. You'll love this bread because it isn't too dense and the flavor is just right. This bread will turn out perfect every single time. 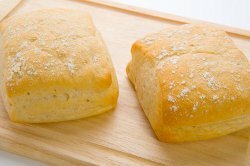 The Best Sandwich Bread - Avoid the cost of store-bought gluten free bread, and make your own delicious sandwich bread. This easy gluten free bread recipe ensures that your efforts will be rewarded with an amazing bread. Mom's Favorite Sandwich Bread - Unless you tell your friends and family ahead of time, no one will ever guess that this is a gluten free bread recipe. It definitely doesn't taste gluten free. French Bread - Nervous about a foray into the world of baking bread? This recipe breaks the process down into easy-to-follow steps. You'll become a confident gluten free baker before you know it. Nut Loaf - This versatile bread can be used for toast, sandwiches, or snacks. You won't be able to resist this hearty bread, so it'll get eaten right up. Italian Garlic Breadsticks - Have some gluten free breadsticks with your next Italian-themed meal. Armed with this easy recipe you can make your own homemade breadsticks, and your family will go crazy for them. Potato Rolls - Serve up these tasty rolls at your next family gathering. Rolls are an excellent side dish that would be perfect for every meal. Seeded Gluten Free Buns - Don't miss out on summer cookouts. Slide your hamburger between these homemade buns for a tasty gluten free meal.